Angela Hutzenbuhler, M.D., Gasteroenterogy, P.A. The staff of Hutzenbuhler GI, a division of Raleigh Medical Group Gastroenterology, remain very eager to continue to provide excellent, compassionate, and patient-centered care; much as they have over the last twenty one years. Our goals and ideals are not changing, despite the uncertainties in medical to come. We are committed to providing personalized, reliable, medical care the way it used to be. 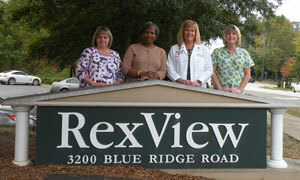 We see patients near Rex Hospital and also have a satellite office in the Brier Creek area.